This effect has always been fantastic. Magic that happens in the spectator's hand has always been "Real Magic!" 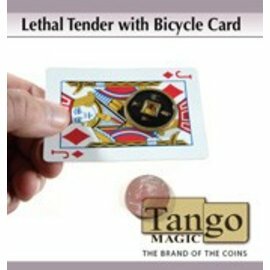 The magician places a 3" x 5" card in a spectator's hand to act as a table. 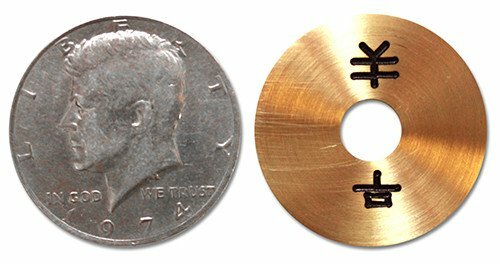 A half-dollar and Chinese coin, complete with a hole through it, are placed on top of the card. All is covered with a handkerchief. 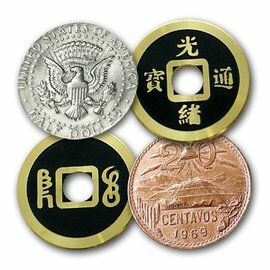 One of the coins is removed, shown to the spectator and placed into your pocket. 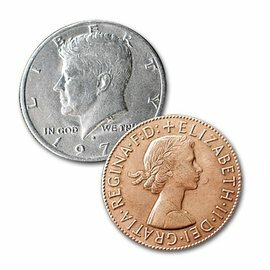 The spectator is asked to identify the remaining coin. The spectator is wrong! 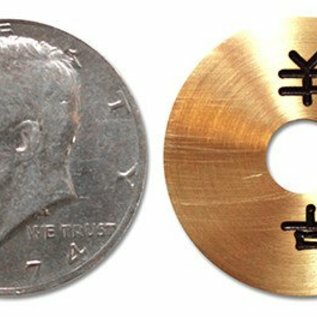 The coins mysteriously change places. This is repeated and all is examinable at both the beginning and end of the effect. See the video CLICK HERE!